When Robin Lim returned home to Fairfield for a hero’s welcome she was honored by the City of Fairfield with a proclamation given to her by Mayor Ed Malloy. Robin also shared some birthing stories with us. One of them was very funny of a Russian couple who wanted to have a home birth, an orgasmic birth. This video begins with several video clips about Robin and her CNN introduction, presentation and acceptance speeches. Founded in 1995, Bumi Sehat is a non-profit, village-based organization that runs two by-donation community health centers in Bali and Aceh, Indonesia. They provide over 17,000 health consultations for both children and adults per year. Midwifery services to ensure gentle births is at the heart of Bumi Sehat and our clinics welcome approximately 600 new babies into the world each year. Their mission is to reduce maternal and child morbidity and mortality and to support the health and wise development of communities. Toward this goal, we provide general health services, emergency care, prenatal, postpartum, birth services and breastfeeding support, in addition to education and environmental programs. Yayasan Bumi Sehat is devoted to working in partnership with people to improve quality of life and to improve peace. For more information, visit Robin Lim’s websites: BumiSehatBali.org, and WisdomBirth.org, still under construction. See Fairfield Ledger: CNN Hero Robin Lim visiting Fairfield, and early news coverage for Robin Lim is the 2011 CNN Hero Of The Year. While in Fairfield Robin Lim spoke on Becoming a Hero at the Maharishi School for the Age of Enlightenment in Fairfield, Iowa on November 14, 2012, and on Finding the Hero Inside Yourself at the Fairfield High School. See this Tanka for Ibu Robin Lim, CNN Hero of the Year. See Fairfield Ledger: CNN Hero Robin Lim visiting Fairfield, and early news coverage for Robin Lim is the 2011 CNN Hero Of The Year. Recent articles on 2011 CNN Hero Robin Lim appear in the October and November 2012 issues of The Iowa Source. 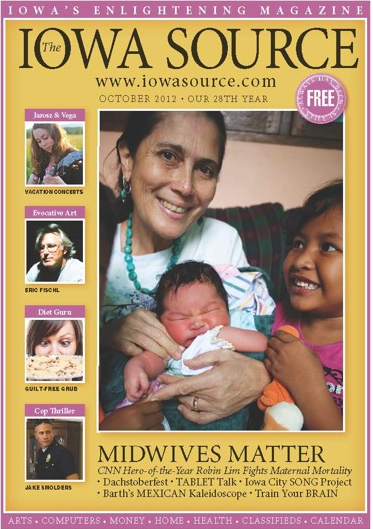 Robin was on the October cover in a feature article, Midwives: Better Birth Outcomes, and in the November issue: Robin Lim Honored in Her Hometown. Mayor Ed Malloy officially declared Robin Lim Day in Fairfield, Iowa on November 13, 2012. Robin is returning to Fairfield to accept the honor and give a free lecture on midwifery and her work in Indonesia Tuesday at 8 p.m. at the Sondheim Center in the Fairfield Arts and Convention Center. Admission is free. Several events will take place between November 8 to 15, 2012, starting with a free showing of the award-winning documentary film, Guerrilla Midwife, at the Fairfield Public Library. The film was made by Robin’s daughter, Deja Bernhardt, about her mother’s work. Robin will also be giving a series of talks starting at Des Moines University in the Student Education Center Auditorium at 7 p.m. Sunday. The event at the Sondheim honoring Robin takes place Tuesday night, followed by talks on Wednesday morning at the Maharishi School, on being a hero by pursuing your dreams and passions, and evening at 7:30 p.m. on sustainable parenting, in Dalby Hall in the Argiro Student Center on the Maharishi University campus, concluding Thursday morning at Fairfield Public High School. In addition to her work in Bali at Bumi Sehat (Healthy Mother Earth), Robin and her team helped save lives and opened a second free clinic and birthing center in Aceh, that part of Indonesia most heavily hit by the tsunami in 2004. She later used her newfound disaster-response skills to aid victims of the earthquake that leveled parts of Haiti in 2010. See the Sondheim Center for the Performing Arts announcement CNN Hero of the Year Robin Lim Speaks in her Hometown. For more information on Robin Lim and her work visit Wikipedia, Bumi Sehat Foundation International, and YouTube Channel. See Fairfield Ledger: CNN Hero Robin Lim visiting Fairfield and news coverage for Robin Lim is the 2011 CNN Hero Of The Year. I spoke with Robin Lim after she became the CNN Hero of 2011. She used to live in Fairfield. Some of her kids went to school here. KRUU FM’s Dennis Raimondi had interviewed Robin Lim on one of her visits back to her second home of Fairfield, Iowa. You can listen here. Robin Lim was one of 10 finalists and had just won CNN’s Hero of the Year for all the work she’s been doing over the years in Bali, and in Aceh after the Tsunami hit. She also helped deliver babies being born in Haiti after the earthquake. An American, Robin Lim became a midwife after her sister and niece died from complications during pregnancy. She reevaluated her life and decided what meant most to her, and that was love—giving, nurturing, and saving lives. She became a midwife, went to Bali and opened a free clinic. Since 2003, she and her team in Indonesia have helped thousands of low-income women have a healthy pregnancy and birth. Her philosophy and practice is Gentle Birth for Peace on Earth. Click on the hyperlinked phrases below to see videos and articles. 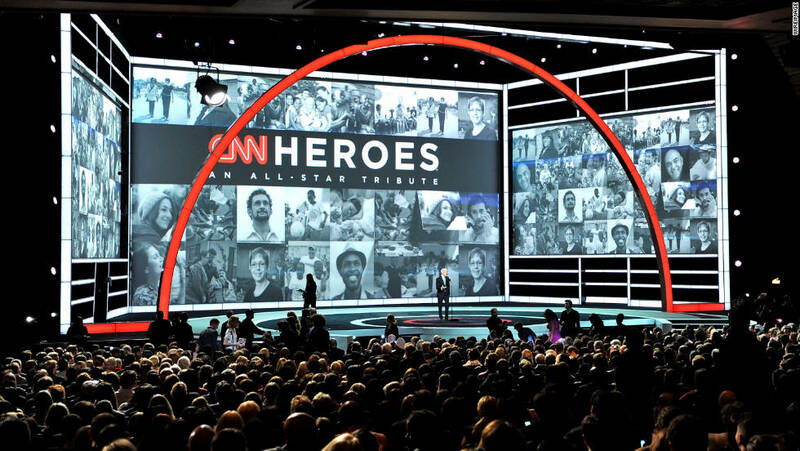 See the video that introduced 2011 Top 10 CNN Hero Robin Lim at “CNN Heroes: An All-Star Tribute.” Heroes Tribute: Robin Lim. Celebrities joined CNN in honoring everyday people doing extraordinary things who are changing the world in Sunday night’s “CNN Heroes: An All-Star Tribute” show. Here are some CNN Heroes highlights: photos: 2011 CNN Heroes: An All-Star Tribute video: CNN honors top Heroes of the year, and overview page with other videos and articles. This is neat: Watch four days of production building the new CNN Heroes stage compressed into one action-packed minute: Behind the Scenes at CNN Heroes: Building the Stage. Watch the videos posted in this beautiful CNN Top Ten Hero Profile on Robin Lim Community Crusader. Robin Lim CNN Hero of the Year. Here is the video of Anderson Cooper naming Robin Lim the 2011 CNN Hero of the Year, and her acceptance speech: ‘Mother Robin’ wins CNN Hero of the Year. 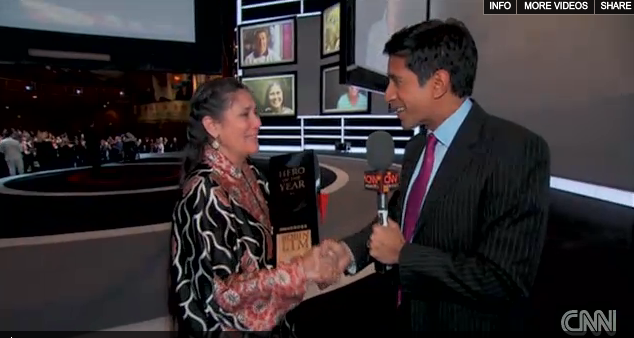 Here is a video of CNN’s Dr. Sanjay Gupta backstage at the fifth annual “CNN Heroes” awards: Gupta backstage at ‘Heroes’. His last interview is with CNN Hero of the Year Robin Lim as she walks offstage at 3:07–3:50. CNN’s Anderson Cooper interviews 2011 CNN Hero of the Year Robin Lim: What it means to be a hero. Photographer Palani Mohan describes his visit with top 10 CNN Hero Robin Lim in Portrait of a Hero: Robin Lim. 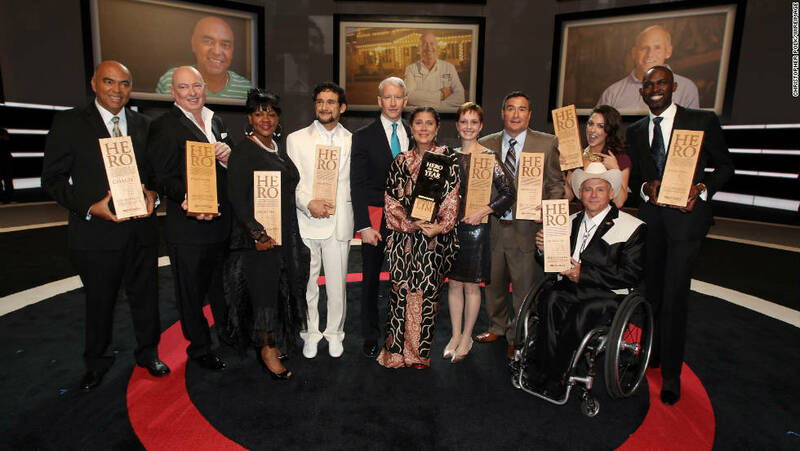 CNN’s Anderson Cooper joins honorees Patrice Millet, Bruno Serato, Diane Latiker, Sal Dimiceli, 2011 CNN Hero of the Year Robin Lim, Amy Stokes, Eddie Canales, Richard St. Denis, Taryn Davis and Derreck Kayongo. CNN: This Just In: Join the conversation: CNN Heroes with a lovely photo of Robin with her mother and husband before her win.(wireimage). And after, standing with Anderson Cooper, as CNN Hero of the Year. Here’s an earlier Huffington Post article before the competition: Balinese Natural Birthing Center Threatened by Global Downturn. 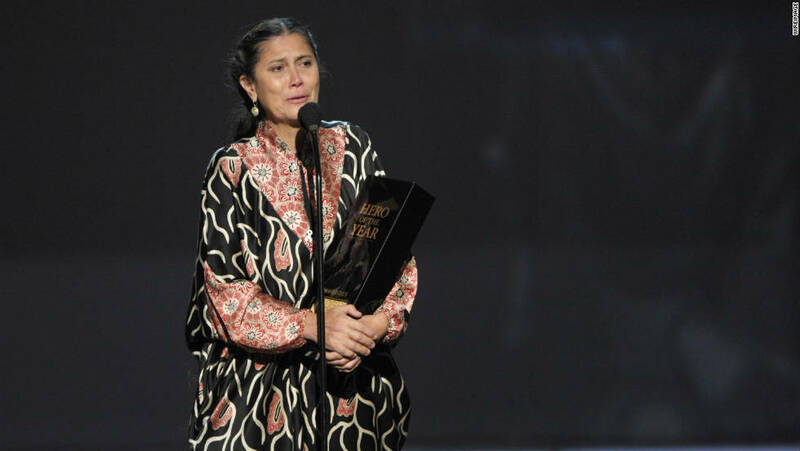 Recent Huffington Post articles: CNN Hero Of The Year, Robin Lim, Wins $250,000 For Indonesia Birthing Clinic and Christy Turlington Burns: My hero, Ibu Robin Lim. Thanks to Mozilla Firefox and Crowdrise, Christy’s organization is entering a competition, and if her charity raises the most, Mozilla Firefox will contribute $25,000 to Robin’s clinic! Click here to find out how you can get involved. Google is also offering an opportunity for anyone to donate to Support the 2011 CNN Heroes until December 31st. 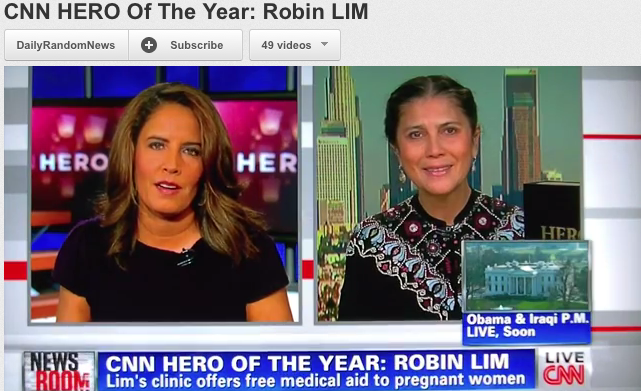 Some other global coverage: video: FIL-AM NAMED 2011 CNN HERO OF THE YEAR 2011 ROBIN LIM HELPED POOR INDONESIAN WOMEN and article: Fil-Am named 2011 CNN Hero of the Year. 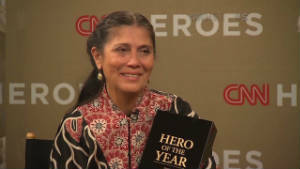 The Sacramento Bee: Robin Lim Named 2011 CNN “Hero of the Year” at CNN’s Fifth Annual CNN Heroes: An All-Star Tribute. Please see link for photography from 2011 CNN Heroes: An All-Star Tribute: http://imftp.turner.com/User/ImageListing.aspx?f=s96o. Jakarta Post: Bali-based US midwife named CNN Hero. Free Malaysia Today: Bali midwife wins CNN’s Hero of the Year. Corriere Della Sera: Una Osterica Fuori Dal Comune. babble: 2011: Year Of The Midwife! jezebel: Women’s Health Advocate Wins ‘CNN Hero Of The Year‘. She Knows’ Parenting: Robin Lim, CNN Hero of the Year, helped improve birth outcomes in Indonesia. 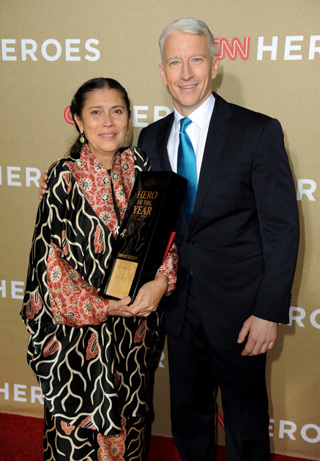 Nigeria Entertainment: ‘Mother Robin’ wins CNN Hero of the Year. 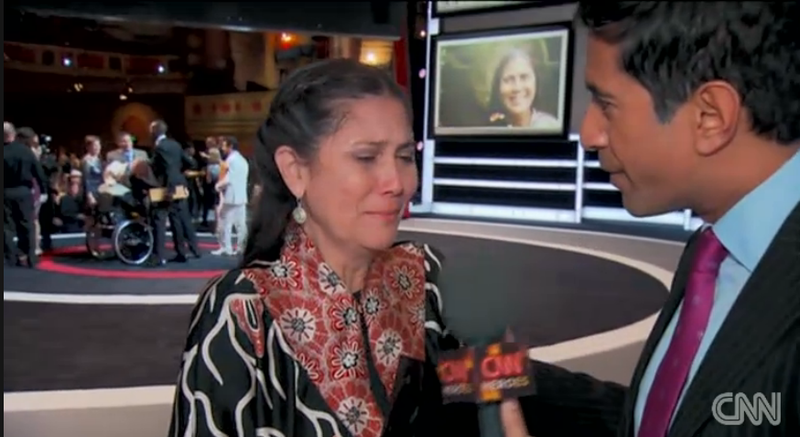 TV by the Numbers: Robin Lim Named 2011 CNN “Hero Of The Year” At CNN’s Fifth Annual ‘CNN Heroes: An All-Star Tribute’. PerezHilton: CNN Names Their 2011 Hero Of The Year. 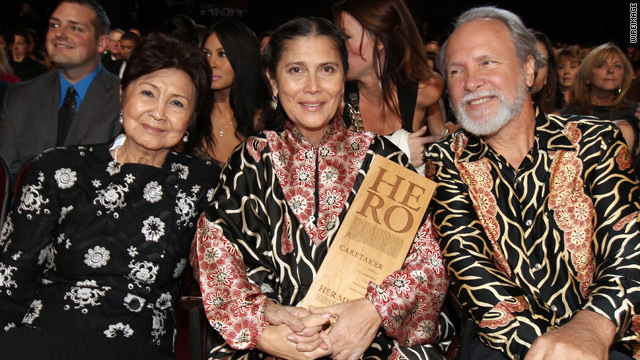 Ricky: Robin Lim named 2011 CNN Hero of the Year. WCAX.com: Founder of Vt nonprofit named CNN Hero of the Year. Related Story: Barre nonprofit helps babies around the world. And Adventures of Lady D: Ibu Robin is CNN Hero of the Year! The Daily Sound: CNN Hero of the Year Robin Lim speaks in Montecito. And hundreds more from around the world all over the internet. For more information on Robin Lim check her Wikipedia page and a volunteer website for Robin Lim that contains valuable info on her life and work. And more information on Bumi Sehat Foundation International www.bumisehatbali.org and www.youtube.com/bumisehatfoundation. You can also see a local TED Talk by Robin recorded May 6, 2011 at Gaya Fusion TEDxUbud – Robin Lim – Peace Begins at Birth. And this NBC Nightly News profile Changing lives at birth Nov 19, 2011.